Some Mac users are reporting wi-fi difficulties after updating to macOS Sierra 10.12. 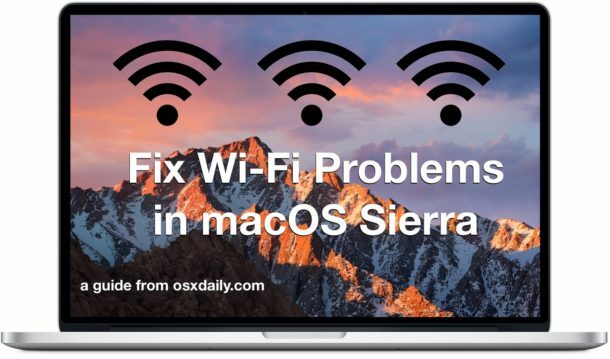 The most common wireless networking problems seem to be either randomly dropping wi-fi connections after updating to macOS Sierra, or an unusually slow or delayed wi-fi experience after updating a Mac to Sierra 10.12. 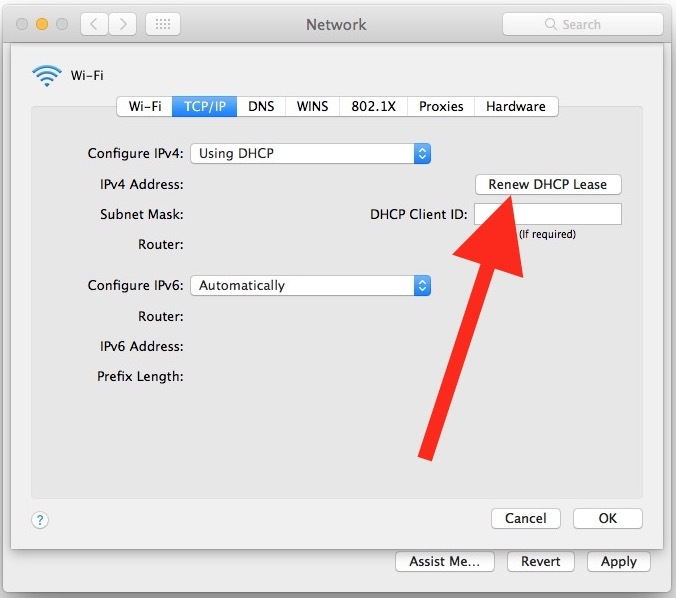 We’ll walk through some some-tested troubleshooting steps to resolve wireless networking troubles with a Mac running macOS Sierra. The approach may fix other networking related issues as well, but those are the primary wifi problems aimed to be addressed by this walkthrough. We’ll also cover some additional generic wi-fi troubleshooting tips that may be helpful if the primary two approaches do not resolve the difficulty. It is recommended to backup your Mac before beginning any of this process. Time Machine makes it easy, but you can use whatever backup method you’d like. This is going to involve removing some system configuration files, therefore you should backup your Mac first, just in case. Do not remove any other system configuration files. When the Mac boots back up and wi-fi is enabled again, for many users their wireless internet connection will immediately work again as expected. If that’s the case, be satisfied with the relatively easy troubleshooting process and you don’t need to proceed any further. 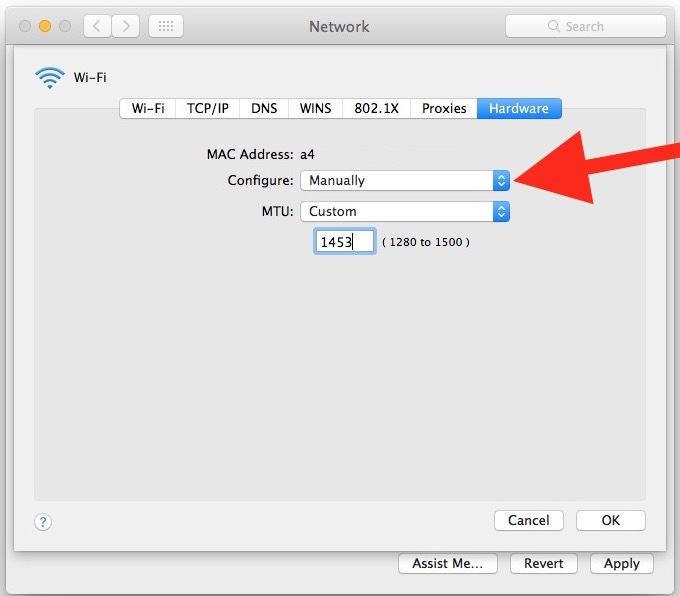 It’s often a good idea to reboot the wi-fi router the Mac is connecting to as well, which can resolve some simpler wi-fi router issues that sometimes pop up with certain router brands and Macs. This is easiest in a home environment where you can just unplug the router, let it sit for a minute or so, then plug it back in again. Obviously for a work or school computing environment that may not be possible though. Is your wi-fi working? Great, then you don’t need to do anything else. But what if your wi-fi is still dropping, still slow, still losing a wi-fi connection randomly when waking from sleep or for no apparent reason? Read on for more troubleshooting tips. Exit out of System Preferences and open an app that uses the internet like Safari, your wi-fi should work great now. 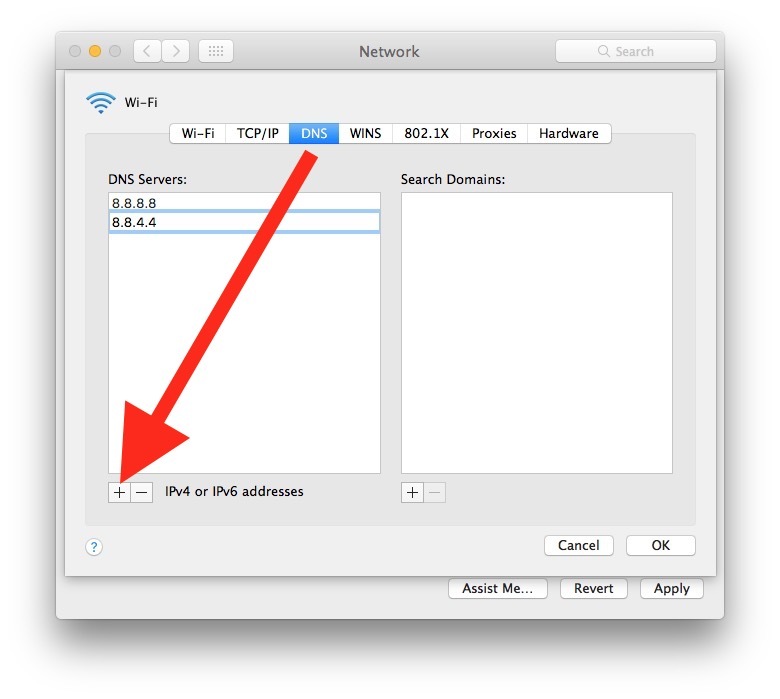 This troubleshooting method of specifying DNS (and, importantly, using known to be working DNS) with a lower custom MTU setting of 1453 is time tested and has routinely worked for resolving some of the most stubborn wi-fi networking problems in macOS Sierra and going further back to many prior Mac OS X releases too, each of which is often accompanied by some limited examples of wireless networking difficulties. Have you experienced any wi-fi issues with MacOS Sierra? Does wi-fi drop or appear slower than usual for you after updating to macOS Sierra? Did the troubleshooting steps above fix the problem you experienced? Let us know your experience in the comments below. Are these beta testers? I went to the App Store and look for the upgrade and it doesn’t show availability for me to update. Oh never mind, I found it. They have changed the layout in the App Store. This article helped me getting the wifi back. Thank you! Do I recall correctly that there were similar problems for some users when upgrading from Yosemite to El Capitan? If so, why cannot Apple ensure that such problems are fully resolved before unfortunate users have to sort these problems out for themselves. Of course there are always going to be some bugs when upgrading, but this one seems like it should and could have been predicted before releasing this update. Or are we all becoming unpaid Beta testers? I won’t be upgrading from El Capitan for at least three months, and Apple certainly won’t compensate me for any upgrade impacts on my business. I am having issues with att and mac. I have had multiple technicians and on the phone many many times. I finally had someone put code into the firmware as they know about it. They say it is apple’s issue and apple has a patch to fix it. I hate to have to patch my operating system when it can be put in by apple and fix the issue. My issue is toggling between “wifi:on wifi:looking for network” I spent 7 days and finally got hold a technician with att that was knowledgable but I doubt the code is permanent. I may have to deal with this again. Again, why can’t Apple fix their code to eliminate this issue. The patch requires replacing modules – renaming plists, etc – a lot of work because att and mac os High Sierra and Sierra (10.12 and 10.13) – it would be better if it were fixed and we did not have to deal with it. Really helpful! I have not upgraded, but am going to try these fixes for El Cap – THANK YOU! 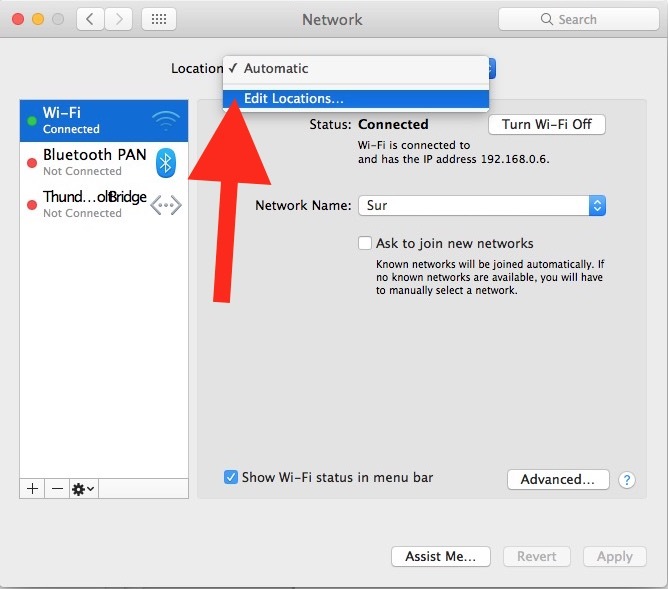 The same approach works for ElCap as well, it should fix most wi-fi problems on the Mac. It’s your main library folder, not your user specific one. Look there. This is long pending issue in Apple. When ever they release any new OS, They have the same issue I think they don’t know how to fix this . Microsoft is way worse. They don’t test anything. I went from Windows 10 to Mac because the more they put in the worse it got. It was expensive to buy a Mac but I am now convinced the money is worth it. Windows is an operating system. The windows on Mac are windows. The operating system under the covers is based on Linux – Apple’s version of Linux – a lot more stable. Your approach to many problems seems as if it is retrograde and derivative of how one had to problem solve in 1994.. How about letting apple know of the problems so they can solve it..or God forbid wrot My a script that solves the problem..your long tiresome processes are not doing is any favours.. Please delete Neil’s comment. What an ungrateful jackass. Wow, Neil, you really are the scum of the earth. Turns out the problem persists after booting up the computer again. Any ideas to solve it so that there is no need to delete the .plists each bootup? I have suffered the same issues on my iMac mid 2011 for many versions of the os. The above sugestion may work fine for some, and in my case it reduced the wifi issues somewhat. My mac has been the most stable for wifi since disabling airdrop. I had slow Wifi connections with my late 2016 Macbook Pro 15″ on MacOS Sierra right from the beginning. I could feel it, but it was also measurable on speedtest.net. It weirdly first showed a quick connection, which then dropped dramatically and ended up at an average of at most half the speed of either a wired ethernet connection, or Windows Wifi Laptops. The tips given above helped only shortly, if even. Now your hint of disabling AirDrop did the trick for me! And SHAME ON YOU APPLE! The reason for buying this expensive stuff is to have it “just work”. Newsflash: It doesn’t, so what am I paying for? Please resurrect Steve Jobs and make him kick Apple’s arses!! I just updated to MacOS Sierra 10.12.2 and the problem ist back again. I tried turning AirDrop off again, but it doesn’t seem to accept my changes. I don’t know how to check, if AirDrop is still on, because in System Preferences –> Extensions –> Share Menu, the (greyed out) checkbox next to AirDrop was always on, also when it worked. This fixed the dropped wifi, slow internet connection, intermittent connection to app store problem after upgrading to high sierra. Following the above link and running from command line. Love the shooting in the dark, everything with the kitchen sink, hail-marry approaches to problems like this. Wasn’t the main reason to use a Mac that it just worked? cannot be done because of the ‘move to trash’ error 43!! Further, there is no ‘remove or delete’ location in the software and the keyboard ‘delete’ key doesn’t either. So what’s my next step to REMOVE or DELETE those 6 items listed? I don’t have that problem but here is what I did: copied the files, then deleted them from the folder. So I would drag and drop the files, that’s how you move files on the Mac. You can send them to the Trash if you want, I copied mine to the desktop then deleted the ones in the folder. FWIW, Cmd+Opt+Delete has been OS X shortcut to delete immediately (bypassing Trash). I Haven’t upgraded to macOS yet but I hope that still works. I am having wifi issues and found this page. When I go to the system configuration folder all I see is bundles no plist files at all. I tried holding down the Option key to go to library and also the Go to Folder way.I have 3 Macs and no plist files on any of them. I have been setup as an admin. Did macOS Sierra change any of that. How about use terminal. Finder is difficult to use. How about doing something like this for the iPad Pro? I have been loosing my Wifi ever since going to iOS 10. About my issue. I called Apple and they say those files are hidden in macOS Sierra. The Apple advisor and I made changes in System Preferences to see if the wifi will not fail during sleep mode. I was having intermittent problems with wifi on my MBP in El Cap. Finally fixed it by simply turning off bluetooth. Tried a bunch of other stuff to fix but this is what did it for me. Rock solid again! This wifi issue also effects internet sharing. Sierra randomly stops broadcasting. There is no fix as it is a bug in sierra. I can confirm this because I’ve tried to fix this up to erasing the hard drive and doing a fresh install of sierra working from scratch and the bug comes back. Sierra is heavily dependent on iCloud and is constantly phoning home and doing things online. I have a low quality internet connection (small town America, no infrastructure) and Sierra is always having problems, iCloud errors, different error messages, etc. Unfortunately it’s not just wi-fi, if the network itself is slow or unstable then Sierra has a real problem behaving. Some people may perceive that as wi-fi problems but for me it’s just Sierra itself uses the internet too often for Photos, iCloud, Files, Documents, Storage, Siri, Spotlight, all these things that would be nice to turn off to preserve what little bandwidth we have. Thanks a bunch! Super helpful and fixed the problem. I’ve done everything twice and still wifi drops off after being idle. I can’t turn off bluetooth on my imac because keyboard and mouse is connected that way. Tired of Apple’s crap. Lol, you should feel blessed. Mine dropped to 0.92 Mbps and nothing will resolve it. CAN’T BELIEVE IT – WIFI DROPPED WHILE I WAS TYPING THE FACT THAT I FOLLOWED ALL THE STEPS TWICE AND IT STILL DROPS OFF!!! I can’t turn off bluetooth because I’m running an iMac so keyboard and mouse with not work. Apple this is basic crap!!!!!! Hi, regarding the wifi issue (my imac mid2011 won’t reconnect after sleep): if I delete those files I lose all networks and stored passwords? First off, THANK YOU for the great article. This really worked for me, as I have been having wifi problems since El Capitain. The first “fix” did not work, and waking up from sleep presented the same searching and ultimately turning wifi on and off to get it to connect. HOWEVER, for me, the second “fix” of setting a new network location and manually entering customer MTU and alternate DNS settings really did the job! Now it is like it is supposed to be. Again, thanks for the very comprehensive article. Thank you… Method 1 worked perfectly for me. Unfortunately, none of the methods worked for me. Ever since the upgrade to macOS Sierra I’ve had WiFi issues. As soon as my iMac locks when the screensaver starts, after I unlock, the only way I can get WiFi to work again is to turn it off and on again. I’m also droppng wifi everytime my computer is idle — did you ever find a solution? Awesome! Thanks a lot, first step was enough for me. My problem was an infinite loop of a temporary “Authenticating..” status then just dropping connection. Thanks, this solved my problem. For me it was worse. During updating to Sierra, the update failed en forced me into continually rebooting my MacBook pro (13 inch medio 2010). I had to reinstall El Capitan from my Time Machine backup. In that backup I had no wifi. The mac failed to show any wifi station. When doing a network test, the wifi stations were in the log, meaning the antenna is working and getting signal. Than I tried a clean install of Sierra. That also failed, hanging up my mac twice. It was still hanging in the installation procedure after 12 hours. Than restoring El Capitan for the second time. Stil no Wifi, but now I got it working with above procedure. The only difference was that the ‘Preference” folder was locked for me. I had to change the rights of ‘everyone’ from “no access” to “read only”. No Sierra for me for a long time. It looks it is screwing up things on some hardware. Resetting my wifi settings worked! Thank you! Thanks! Between this and the photo analysis, I was a bit frustrated after Sierra install. Hopefully a little smoother now. When I upgraded to MacOs Sierra my iMac wasn’t automatically connecting to my home wifi network. If you forget you home network and use the Assist Me… option in the Network System Preferences. Then, run through the tutorial. These steps worked for my older iMac (late 2011 model). 4. Run through tutorial, don’t forget to Apply after you are done. You will be prompted to Save Configuration. We’ve been having this issue in our home office for a while now. iPhones get 60mbps through wifi, Mac Mini gets 60mbps through ethernet, but 3 Macs were seeing 7-15mbps over wifi. I tried everything on the 2nd Gen Time Capsule we use for our router, and then I found Ben’s comment. This worked like a charm. 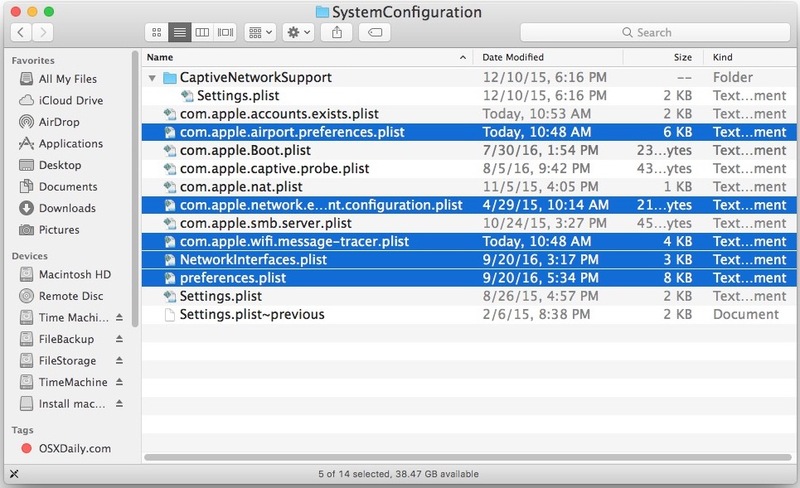 Go into System Preferences, then Network. Click the Advanced button. Choose your current wifi network from the list of Preferred Networks, then click the – button to remove it. Then click the OK button. This will also remove that network from your other iCloud devices (including iPhones and iPads), but you can reconnect those once you’re done reconnecting with your Mac. Still in the Network settings of System Preferences, click the Assist Me… button. Then choose the Assistant option. You’ll choose to connect via wireless Airport and then it’ll ask for a name for this network location. I chose “Home”, but you can use anything, though I would suggest using something other than what you may have already used (if you’ve done this before). Creating a new network location with new settings may be the key to this whole thing. Next you’ll have to reconnect to your network (choose from the list of nearby networks, or type yours in, and then type your network password). If this errors once you click Continue, don’t worry. Your Mac is probably connecting to the wifi and wasn’t done before the assistant checked (this happened to me, twice). Don’t forget to hit Apply, then close System Preferences and use SpeedTest to check your down/up speeds. All 3 of our Macs hit 55-60mbps after this fix. Hope this helps people. I would suggest using SpeedTest every few months to make sure you’re getting the bandwidth you’re overpaying the cable companies for! After upgrading to Sierra my iMac would no longer reconnect to my WiFi network when waking from sleep. The only fix that had any consistent effect was disabling “Wake for network access” under the “Energy Saver” settings in System Preferences. Now the iMac reconnects to the WiFi every time. This helped me! Thank you! Thank you, Kyle. A simple solution that has solved the problem! Thank you for posting – was getting ready to go through all the steps above, when I saw your suggestion. Instant fix! Went through all the steps described in the post – didn’t work. Just tried your simple and fix and bingo! many thanks. This is the one that works. Fixed my problem with no wi-fi after restarts too. THANKS! Wow, that was so simple and it works! Thank you so much. Great. It works. Thank you Kyle. You’ve gotta be kidding – after all these various updates we STILL have wi-fi issues? I have been suffering with these problems and have spend many hours trying to resolve them overtime an update occurs. Wish Steve Jobs were still around – these problems would never have surfaced. Thanks. I used the first method and it’s working nicely. Performed the upgrade yesterday from El capitan. ReceivING a “no hardware installed” prompt for my WiFi adapter. This is a ’12 aluminum macpro. Reset SMC and NVRAM already with no luck. Any suggestions? Thank you! This helped with my extremely slow ping time, everything else seems to be working.. THANK YOU! For me far better wifi on 5ghz though !! One note- 2.4GHz, while technically capable of greater ranges in theory, is almost always more congested. Additionally, 2.4 is limited to 20MHz, whereas 5ghz supports 20/40 on n and 20/40/80 (and soon 160Mhz) channel bonds on wireless Ac. I already tried this with El Capitan and it didn’t work. Very frustrating. Here is an idea – why not suggest to use the old fashioned quality assurance department, couldn’t be too costly for a company that has over $190 Billion in cash reserves, and bring back the ideas of quality assurance that Steve had in play when he returned? The fear engineering bosses had in the past, is gone. So they are allowing people to pass and release unqualified hardware tests. These problem comments above are only a snow flake on the iceberg. Besides Wifi, there are many Apps that just stopped working. Sierra is becoming the Vista of Apple. Seems the devotion to pointless unwanted features desired by marketing execs, they appear to be breaking things that worked for years – NOT COOL. Step 2 resolved my issue. Reconnects automatically as it should after waking from sleep every time. Thank you!!! I just tried step #1 and will see if that does it. I don’t have the file com.apple.network.eapolclient.configuration.plist. It wasn’t there before or after the reboot. Do I need this file, and if so, how do I get it? Thanks! No you don’t need any files, if Mac OS didn’t create the file then you do not need to remove it because there is nothing to remove. Remove the matching files that you do have. Every other Mac OS update, Apple has WiFi problem and now again – wtf?! I have zero useful new features from Sierra update and not working properly WiFi. After installing Sierra, I had the problems listed in this thread. Random dropout of wifi, not reconnecting after sleep were the main ones. I tried ALL the solutions in this article but my iMac still disconnected randomly. After some experimentation I found the problem and all is working now. I wanted to share what I found: it turned out that the Sierra diagnostic (alt- click on the wifi symbol on the mac) did the trick – it diagnosed for a long time and came back with the information that I had too much congestion. I bought a Wifi Scanner from the app store for $20 and found that my iMac was picking up 33 close by wifis. I used my wifi/router control and changed my channe on 5 MHzl so that it would not overlap the neighbors as much and I have had no problems since. It might have happened that Sierra was “improved” to pick up wifi signals at a further distance – however, it also might be that that caused more congestion. Those people in close proximity to their neighbors may want to look at this solution. Interference can often make a wi-fi connection bad but that shouldn’t happen after updating system software, that would be something that would occur with any Mac OS version. Perhaps the increased congestion occurred at a similar time. Thanks for this – the first method worked perfectly on my MacBook Air 6,2 and now everything works as it should. Until doing this, I was getting so frustrated with the WiFi issues I was ready to throw the thing in the bin. Again, thank you! I have had the same problems. After tying the fixes above, still having the wifi dropout problems I changed my wifi encryption from wpa mixed mode to pure wpa2. I have not have any dropouts since. We have had the same experience and are pretty fed up…after months of trouble free wifi connection on El Capitan. We have an imac, macbook pro and macbook air – exactly the same on all three as soon as we upgraded to Sierra…they all keep dropping wifi connection every couple of minutes (if you’re lucky!). What’s the fix Apple? Hi guys, if seems like im getting a more severe problem: ever since updating to Sierra whenever i log in to my computer it brings down the wifi network in the whole house. I’ve already had the cable guys come in to fix the routers for two consecutive days n they’re coming back tomorrow again coz we just lost wifi housewide again. Which is why I’m starting to suspect if the update was causing the problem. Anybody else getting this next level frustration? Step 1 didn’t work, but it did manage to erase the hostname of my machine, resetting it to the factory default “Macbook Pro” or similar. Step 1 should end by describing all of the settings that might have been lost as the result of running the step and what steps it would take to restore previous settings. I skipped Step 2 – I don’t want a hacky solution that involves bypassing the proper auto-provisioning features that any decent operating system should employ. The last thing I tried was rebooting into safe mode, and for a few days at least, that seems to have done the trick for me. Hi, your 2nd fix seems to have worked for me. Thank you. But when you say 8.8.8.8 and 8.8.4.4 are public DNS servers, does that mean I still have security? I’m connected to my network. It’s the ‘public’ bit that worries me. Thank you. I tried all the suggestions above with 10.12.2 and still had dropouts, for me changing my channel on the router from auto(1) to 3 worked.. good luck! Just wanted to say a big thank you. After upgrading to Sierra, I had 3 frustrating days of trying everything to troubleshoot the issues. Not having internet didn’t help. So after looking up this article (on someone else’s computer! ), I took the advice re. removing preferences, rebooted, and voila, all my problems were solved. Appreciate your work. This basically fix the priority set on bluetooth devices which in my case was a bt mouse interfering with my wifi. Hope this helps. thank you, this is what helped me from all advices here. There is another problem thoug. My wifi is fine now, but the cursor movement is sometimes glitchy and lagging. Have you experienced this also? Haave you also the command for reversing bluetoothCoexMgmt to default state? Sincere note of thanks. The first solution worked. Been driving me crazy. I have 3 Macs and it’s affected all of them. My problem was a much slower wi-fi and no connection through the wi-fi to the Epson XP750 printer. I followed the guide – and it all works now. Excellent article. Oddly enough all my bad problems started after upgrading my Time Capsule – after upgrading to Sierra my network still worked fine however my backups started crawling even after the Safe Mode fix and resetting the old TC. So I assumed my TC was trashed (1st gen – old) so I got a new one. I spent about two hours trying to get back online till I found your article on my phone. The first fix – removing those plist files – did it. Thanks so much ! Or they could program and OS that actually works properly, that would be great. Just ‘upgraded’ from Yosemite to Sierra and now cannot download any large files (0.5-1gb) – connection terminates. Tried all above to no avail. Although download fails, connection does not seem to drop on idle or any other time. Not ISP fault as files download fine with WIN 10 machine! Anyone experienced same? I have a macbook air that refuses to auto-reconnect to wifi after a reboot or simply just starting the mac, you always have to manually choose the network and type in the password. I tried updating to sierra but it didn’t make two-penny’s worth of difference. I’ve gone through every fix and workaround you can possibly imagine, and then some and still no change. It now seems nothing less than a reformat / clean install will fix it. This is one of the reasons I’d never be a dedicated mac user in with both feet. It’s good for novice users who just want to plug n play but for anyone with some PC tech skills it’s a bucketful of frustration. I just removed those files mentioned in the article above, rebooted, turned on WiFi and that seems to have fixed everything with the WiFi. I figure the download corrupted the files I removed. Thanks for all the help, OS X Daily. I just wanted to thank you for this article. Out of nowhere my internet speed dropped drastically (from 65+ to as low as 2 MB/s) on one of the my macbook pro (I did a speed test on my wife’s macbook pro for comparison and she was getting speeds of 65+ MB/s). Solution 1 didn’t solve the issue, but I just tried solution 2 and my speed is back up to 65+ MB/s. I tried all these fixes, and my problem with hi latency and unstable wifi connection remains the same. Then, I tried a TP-LINK external USB Wifi module, I installed the TP-LINK drivers and this external W¡Fi module worked just fine, as expected. The funny thing is that after the installation of the TP-LINK drivers, the integrated MacbookPro WiFi begun to work fine too. Hi, I trying to repair my wifi connection. What is this drivers ? Can I have link of drivers ? Thanks for the solutions, it’s work great ! After agonizing pursuit And trying ALL THE ABOVE, had to REVERT BACK TO EL CAPITAN. I remove the 5 files and restart and have internet perfectly for 3-5 minutes then its gone again. I can remove 4 files again (it doesn’t recreate one of them) and restart and have internet perfectly again. Any suggestions, this is hurting my brain! Tried all fixes. Now deleting the 5 files gives me 3-5 minutes of perfect internet then its gone gain. I go back to delete 5 files (theres only 4) delete then restart and have 3-5 minutes internet, repeat repeat! Great result thank you! It fixed my internet headache instantly. Great work! I’ve been also suffering from same issue for several months and using early 2015 MacBook Pro Retina. I’ve done everything listed above including Airdrop disable but it didn’t work at all. It really makes me crazy. Unfortunately, I don’t have Time machine backup so I cannot go back to El Captain. By the way, I live in a suburban community, with few neighbours. My computer catches two other WiFi connections besides mine, wouldn’t dare blaming congestion here. This was super helpful! I got my internet back!! Worked a treat for me (macOS 10.12.1 (16B2555)). Was on to my ISP and considering upgrading WiFi. Excellent! I did as you suggested, and it works perfectly! I downloaded Sierra yesterday as a free upgrade. After the upgrade I could not connect to the internet at all on the Mac OS it I Alston use Parallells for my tradinng platform and this worked fine. Following your guide and having to do both fixes it now works as expected. Thank you. Ps… auto correct is the most useless tool ever. I just disconnect my toslink audio cable ! I know that there’s no relation between wifi and toslink but here is the fact : my mac mini directly connect to the wifi network. I replug the toslink cable and the wifi stay stable. Reboot the mac mini and wifi stay stable ! OMG ! So try to disconnect all the cables and pray ! this is too much for me. too afraid i will mess it up more. Apple needs to come up with a fix for this! I have a different problem. i use my mobile to tether my internet using pdaNet on Sierra. That part works just fine and a new connection en2 is setup. When I try to share this new connection via wifi all seems to work fine and I can connect other devices to the wifi but no traffic is being allowed. I even turned the firewall off on my MacbookPro but nothing seems to help. Any ideas? My wifi was working but the icon was greyed out with an exclamation point as if it wasn’t. I followed the instruction in Item #1 above, and the problem is solved. Thank you! Done with Apple. I’m typing on my last IPhone and staring at my non connected MBP. Done. Hi, I have tried step One and Two, not much successful, i am wondering how to reset the whole process back to normal? My wifi has been iffy since installing Sierra. I’ve tried most of the suggestions above and nothing. So frustrated. Going to look at reverting back to El Capitan. hi everyone, I have an unusual problem I’ve been searching for the last 4 days and didn’t come up with any answers,im using MacBook Pro 2016 15′,everything works fine and perfect as long as I don’t switch between wifis,every time I’m connected and click on another ssid to be connected through that, for example to my iPhone through hotspot or any other modems’ got my Mac frozen like I can not do anything with it and I have to turn it off by the power button.any idea what goes wrong? So, the problem was bluetooth…and now what? never use bluetooh again? Same here. Bluetooth off and it works like a charm. But if that’s the supposed solution or buying a new 5GHz modem, then I am very unimpressed by the mighty, mighty Apple. So, I tried to turn off bluethooth, and at first wifi went well, as never before. 3 days later, though, its worse than ever. I don’t believe it. Its just a shame Apple haven’t do nothing to solve the problem. I`m afraid to do that kind of things, and mess it up. Now what? I have an 1700$ that can’t even connect to internet? Recently bought a 2015 MacBook Air and first thing I did was update it to Sierra. Wifi is dropping randomly – not just after waking from sleep. I have to then turn wifi off, wait a few seconds, then on again and usually it then connects. My 10 year old Dell Vostro does not have this problem. Seriously considering selling the Mac as it is almost unusable like this. Is it worth taking to an Apple Store for them to look at it? Still have 1 month warranty left. Had similar problems. Usually, I couldn’t reconnect after waking Mac up. The shorter the sleep was, the harder to reconnect. Or the connection was dropping while in use. With Yosemite, ElCaptain, Sierra. Methods from this posts tend to solve the problem for a while. But never permanently. After a few weeks connection problems reappeared. What solved the problem permanently (at least for last 6 months) was to split my networks on the router. By split, I mean to create two wireless networks with two distinct names. One for 2.4GHz, one for %GHz, i.e., mywifi2 and mywifi5. Then connect to both of them, so Mac can choose either. Ever since I did that, my WiFi is stable. I don’t monitor it very carefully, but I spotted that sometimes it connects to the 2.4GHz, sometimes to the 5GHz network. It happens automatically, so I don’t bother. As per usual, this did f**k all! Clear cache or run a cleaner like clean my mac. Reboot issue fixed for a while then have to do it all again! Right as I downloaded OS Sierra (did it at night) and I woke up in the morning, my Mac began to give me ERR_ACCESS_DENIED whenever I tried to use Chrome. I wasn’t able to use any other internet-reliant applications, but the internet itself is completely fine. (yes, I already contacted my ISP) Do you know what the problem may be? I bought a new MacBook Pro beginning of the year. Everything worked great until yesterday. I do not know what might have happened but my WIFI was not stable any longer. Internet connection was lost after about one minute. When switching WIFI off and on again connection was there for a minute or so again. I had no problem at all when being connected to the router via cable. Anyhow I would like to know what may have caused the problem. All my other devices, iPad, iPhone, Windows Laptop are working without any problems without changing anything. And my MacBook also worked until yesterday, I did not install any update or the like. I do have Norton Internet Security installed on my MacBook, is it possible that this is causing the problem? I was having that same problem. I’m on OS X Sierra with 2 of my similar macbooks side by side in my house, watching the results of “ping google.com” side by side. The one macbook continues fine without issues, but the other macbook just recently started having this problem. It would connect to WiFI, work fine for about 1 minute and then stop. I disconnect wifi or switch networks or just turn wifi off and on again and the same result. It works fine for 1 minute and then nothing. Anyway, Step 1 didn’t fix either, but things seemed to work after I rebooted in Safe Mode, waited a few, an then restarted back to normal mode. When I restarted again normally, my Avast Antivirus reported a system error. I closed it and relaunched it and now internet is back to working again without issues! So, incase anyone is having a similar experience, try that. Avast and Norton may slow down wi-fi because they are using the internet connection, but it has nothing to do with Sierra wi-fi not working directly. Think of it this way, Norton and Avast antivirus are using the wi-fi connection to scan stuff, and it also uses computer resources, and this can slow down your wi-fi internet connection on the Mac. It is not Sierra specific, and it’s not a bug or wi-fi problem directly, this is just how those apps work. Norton and other Antivirus apps for Mac are not needed, those apps often mess up a computer. Your Mac is almost certain to never get a virus or trojan as long as you never download or install sketchy apps. Never install an app you did not request specifically. Only download apps from the App Store or trusted developer websites that have certifications. The Mac is quite secure by default, the Antivirus apps are usually junk and will slow things down with no benefit on a Mac. That is my 2cents and from experience, I never use them. I just don’t download sketchy stuff to the Mac, and I have never once had a problem. If you practice good Mac and download hygiene you won’t need those apps at all and your wi-fi won’t slow down. 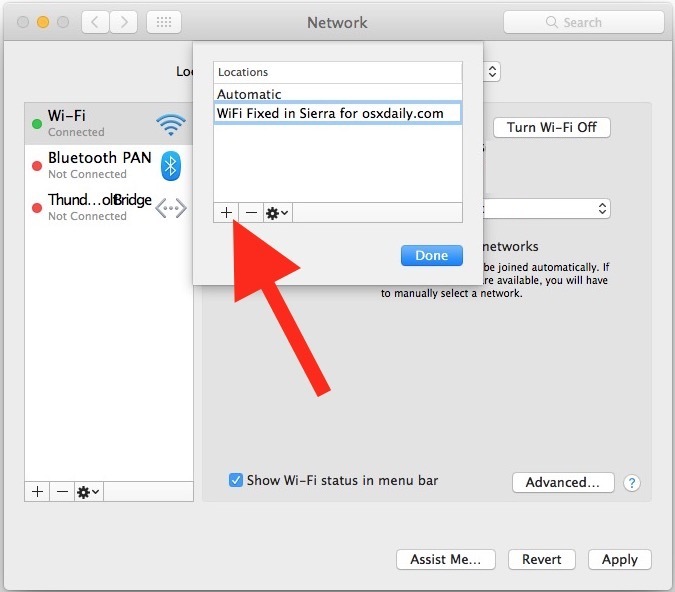 This tip is good for if your Mac wi-fi is not working as expected, and ditching preferences, setting good fast DNS, etc, is very reliable way to get a better connection. This on most occasions does not fix the issue. I have fully reinstalled OSX and still the issue keeps happening. If you run a cache cleaner and reboot WIFI returns to full speeds but after a few hours the issue happens again. Apple have no idea what to do it’s a JOKE! WIFI SLOW…. Clear cache or run a cleaner like clean my mac. Reboot issue fixed for a while then have to do it all again! TL;DR – DNS is only a problem if there are long latencies when first connecting to remote sites. Running ping from the CLI can reveal DNS as an issue if the command experiences long delays waiting for DNS to translate hostnames to IP addresses. The longer the delay in returning output the more likely the local cache or your configured DNS server (or network routing to the DNS server) is having issues (e.g. congestion). If the problem is chronic then your designated DNS server might need to be reconfigured to another server. If ping latencies are high, but the delay between issuing the command and seeing out is brief, then DNS is probably okay. I’ve solved ping latencies by simply toggling WiFi off, then on. That suggests a TCP/IP stack configuration issue, a local caching issue, or something else. I’d start by toggling WiFi off then on before trying anything else. Then I’d start following the Author’s suggestions depending on what you’re actually experiencing. This was so helpful! I updated my harddrive and RAM and installed Sierra at the same time and was confused at the crazy slow internet. Deleting my wifi preferences fixed everything. Thanks so much for great info! removing files scares me . since i upgraded to sierra my MacBook Air keeps dropping wifi. i first did the simple thing, clicked on the wifi icon and opened network preferences then clicked on “assist me” then “diagnostics” then continued on and it said everything was working so i tried to use the internet again and it worked. have to do that every time it drops. i know it isn’t my router since everything else has no problem staying connected. now when it happened again i decided to do what apple suggested “check for wifi issues” . well it said it couldn’t connect and made a bunch of suggestions but i decided to try the thing i did before and it connected….. so what is the real problem? i believe it is sierra. I purchased the new MacBook Pro in February and have experienced wifi consistently dropping after waking from sleep mode since purchasing. I spoke with Apple three separate times and got three different fixes, but they only worked temporarily. I tried step 1 above and so far so good. Thank you! I followed step 1 above and it worked for about an hour. I left the lid open and let the mac go to sleep and checked several times, but when i closed the lid and opened it, the wifi connection was lost. after trying the first option of deleting those files, my inbox has no contents anymore. they are back, it’s fine. thanks, will see how the wifi goes now. WOW! I’ve done almost everything on the web to try to get my 2012 Mac Pro’s Ethernet working again. This literally was the last site I was going to check out before taking my Mac to Apple. Thanks a TONNNN! First of all thank you OSX Daily for this article. Unfortunately none of these fixes worked for our late 2012 15″ MBP Ret. So I called Apple Support today and spent two hours on the phone. Reinstalled Sierra but that didnt work either. After doing many searches I found this youtube video that mentioned that Sierra left out support for some Broadcom and Aetheros wifi chips and provided kext files as a fix. It worked like a charm on the first try. Here is the link to the Youtube video as a reference: https://youtu.be/UYb2XqnZu8c I hope this helps for people with similar issue as mine. I did all of this post, but nothing worked. My WIFI started to work fine again when I disabled IPv6. An other thing I had was that I didn’t have problems on every access point, only a few brands didn’t work right. Thank you so much Paul. Your instructions were straight forward and my wifi is back and running. After deleting the files in the first step, Sierra crashes every 2 o 3 times a day. Someone experienced this already? Thank you for this guide. I was facing issues with my new macbook pro running macos sierra and this helped! Symptoms were that I did not have any internet connection for web, ITunes ot AppStore after an upgrade to Sierra (that used the network). ITunes complained. Safari just sat there appearing to try to load a page and AppStore had zero content on any page. Thanks a lot. I have been facing wifi issues since I opened the box of my new MacBook Pro 2017. I was planing to bring to service this new Mac but now wifi works flawlessly. Disable Bluetooth. Stopped Wifi drops and slowdown immediately. Method #1 not working? try shutting down instead of doing a simple reboot. Wow, fix on first option. Need to bottle this one up. Thank god! you save my Mac! I use the first solution and perfectly worked! Thank you so much. The first option of removing the stuff in the wifi settings worked perfectly. Thanks again. wifi connection works with frequent slowdowns. Problem turned out to be an aftermarket USB-C multiport adapter. Swapped back to the Apple multipart adapter and solid-fast wifi returns. Came across this when getting fed up with high-latency SSH sessions on my MacBook Pro (Retina, 15-inch, Mid 2015). Pings were averaging around 400ms, but they were all over the place. After deleting the prefs from the first step and rebooting, pings went down to 2ms. Completely stable. I develop software for a living. Apple ought to be losing sleep over this. Thanks a billion for documenting the fix. Just wanted to thank you! #2 worked for me, it was so weird that only one device in the whole house had an issue and this worked! I am fascinated by the settings, will try and follow the “time tested” links to see why it has to be so manual. I just upgraded a Mac Mini Server to Sierra and could not get it to connect to the internet by cable ethernet, Wifi, or iPhone hotspot. Upon initial boot up, I could not sign in with an Apple ID to set up iCloud. No browser would load any web page. Running Apple’s Network Diagnostics, everything look find with five green lights. Turns out, my software firewall (Little Snitch) was blocking all applications from the internet after installing Sierra. I had to uninstall Little Snitch (www.obdev.at/support) in order to gain internet access. Apparently, Apple does not expect this application to be present when installing Sierra. Thank you! I have removed existing wifi preferences and now works very well! My issue arose after installing Folx. So maybe can help someone. My MacBook Pro wireless would work at times and then drop the connection, going dead as if my router had stopped interfacing with the laptop, yet my other Apple devices connected to the wireless router/Internet without a hitch. I deleted the five files in step one, rebooted, input my Wi-Fi parameters and again have wireless Internet access. Thanks for the helpful tip(s). I’ve gone through all steps, but still no Internet from wifi no matter which wifi I try to connect to or hotspotting from phone. This damn Mac computer has cost me so much wasted time over the past few years, but I do appreciate your article here. Everything worked fine for a couple weeks after updating to sierra then all the sudden I can’t connect to any internet connection and know 100% it’s this computer. Jim I have the same issue, tried everything on this site hoping that it would work but I still get the same issues. Same thing, Sierra worked fine for like 2 weeks and now I have to disconnect/reconnect WiFi every 10 mins. Good Luck. I tried everything on this site…still with no luck. I appreciate the advice, it’s more helpful than Mac support, that’s for sure. I’m just wondering what could be causing the interruption now. I’m currently backing up my system as I speak so I can get more in depth without risk but I’m at the point where I’m ready to sell this Macbook and switch back to PC. If anyone has any last ditch advice, I’d love to hear it. Thank you. First step works well for me… Thanks!!! Thank you. Apple couldn’t solve it but you did! Tried your instructions. Step 1 worked for us! Thank you for the fix! I have just up graded to masOS High Sierra 10.13.1 and now my WiFi and Ethernet connections don’t work and yet the computer says the connection is ok. I can’t connect to internet and when not connected to mains power my screen blacks out even though there is plenty of battery left. To be fair I am now getting really fed up with Apple issues… what’s going on, they used to be so good! Guess that’s me on the phone to Apple support for another 2 hours. Not happy! After trying several methods- restarting, deleting and creating new network, running diagnostics, etc. One simple thing fixed the connection. I opened Itunes and naturally it did not connect to wifi, but i scrolled through some of my songs. I quit Itunes, app store and safari. Maybe something to do with your Itunes, Safari or App store having to sync. After upgrading to 10.13.4, can’t connect to my work wi-fi on my late 2016 Touch Bar MBP. It rejects the correct password all the time. The same issue persists with iPhone hotspot and my home wi-fi, though on a smaller scale. I’ve done everything – deleting system config files, rebooting in safe mode, adding a new location, so far – no sensible changes. I’m even starting to think it’s a hardware issue as my laptop can only connect to iPhone hotspot when it’s literally next to it, and it’s 50/50 with my home router. Strangely enough, my iPhone uses 2.4 GHz band, but my home wi-fi is 5 GHz. It’s probably not a hardware issue if the problem only surfaced after updating to a new system software release, that would instead imply the problem is the software you updated to. Try rolling back with Time Machine before 10.13.4 and see what happens. I personally look at High Sierra like it’s a craps shoot, I would never put any version of it on any of my Macs. But that’s me, some people it works for which I think is great. I use Sierra, it works well for my needs. First step fixed it with High Sierra! Thx. Thanks for this set of tips! I went straight to the manual MTU setting, and WiFi connected again immediately. Not sure why the non-standard is working vs. the standard 1500? Regardless, this was a life saver. Every time I moved from home to work, I couldn’t connect at work. Frustrating.. grr. Now select the “Hardware” tab and set the ‘Configure’ option to “Manually”, then adjust the “MTU” option to “Custom” and number to “1453”. USE THAT SETTING IF ON “DSL”! However, that was several years ago when you had lower internet speed and I did use with my DSL connection several years ago. This worked great for me, but then came back. Worked great again. How do I keep it from re-occurring? Has anybody had this fix their WiFi issues on Mojave? I’m not sure if I should ignore this advice since it was for Sierra.